The modern Neo wall mounted bath/basin filler, manufactured from brass with a stunning chrome plated finish. 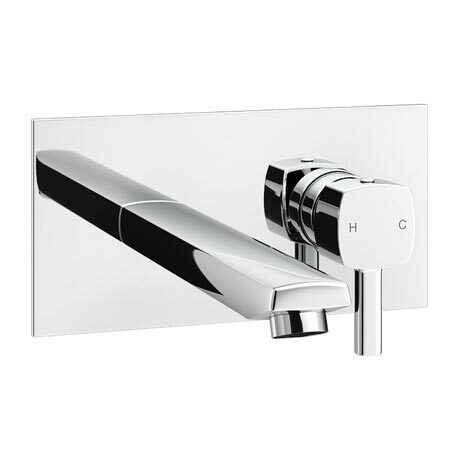 The Neo range is characterized by it's stylish soft square single lever tap head providing control for flow and temperature. It's minimalist design makes this tap well suited for any style of bathroom. Can be used as a bath filler or used with a counter top basin. Water Pressure: Suitable for systems 0.1 bar for basin and 0.5 bar upwards for bath fill.